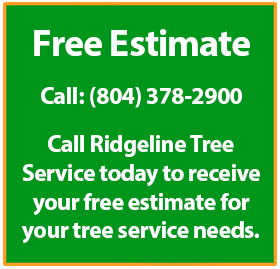 For fast, reliable and affordable tree services in Richmond and the surrounding areas – look no further than Ridgeline Tree Service. We are a team of ISA-certified and highly-trained arborists with a goal of helping you maintain your landscape’s health, safety and beauty. With over 25 years of experience, we provide proactive services for the maintenance of residential and commercial landscapes. 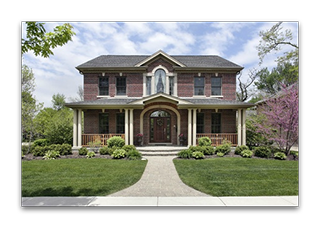 From Tree Pruning and Tree Removal in Richmond, to Lightning Protection, Landscape Planting, Snow Removal, and Christmas Décor Installation – our job is to help make your yard and home’s exterior more aesthetically pleasing and safe. To create and maintain a beautiful and healthy outdoor environment, we employ a proactive approach while following the official guidelines mandated by the American National Standards institute. We specialize in the upkeep of commercial and residential landscapes and trees. Whether it’s large trees or small shrubs, we have the equipment and expertise to approach each job on a case by case basis. A tree that has taken hundreds of years to grow can be reduced to splinters in an instant by a bolt of lightening. 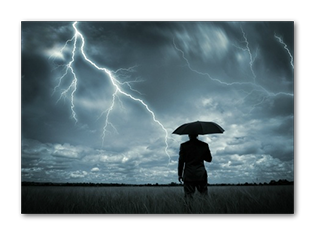 To avoid the devastating loss of your natural wonder due to lightning damage, we are proud to design and install lightning protection systems for large trees. Trees that have a high potential for lightening strike are usually (but not always) the tallest objects around, or standing alone on open hillsides. 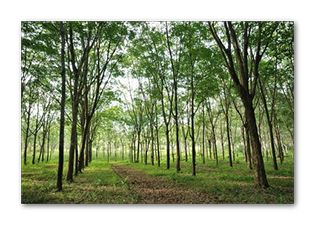 A tree lightning protection system offers a convenient, low resistance path for electrical charges. When a tree is equipped with a protection system, the positive ground charges travel up through the system out of the points and rise to meet negative cloud charges traveling down toward the earth. Both charges are instantly canceled out, sparing the tree. We design our systems with high quality copper cable and hardware made to last the lifetime of your tree. The design of a particular system is determined by the tree’s unique characteristics, starting with a main or primary conductor cable. This cable is run from the top of the tree down the main trunk, and into the ground. The cable is then attached to a copper ground rod. Smaller cable can be used to extend the system out other main branches of the tree to create an envelope of protection. We carefully consider the spatial characteristics of every landscape to create the most natural, aesthetically-pleasing and self-sustaining outdoor environment possible. We have a access to a wide variety of plant species. If there is a plant you are looking for, chances are we can find it at the best possible price and condition. We understand every client is unique – as is their landscape. Therefore, we provide solutions and options to achieve the client’s desired look and goal. Our landscape designers will take into consideration a number of factors, such as: architecture of your home, climate and geographic characteristics, longevity and resistance of plant and shrub specimen, as well as Richmond’s official Guidelines for Landscape Design and Planting. We work closely with our clients to help bring their ideas to life. We are happy to discuss any individual project that our equipment and expertise might help facilitate. Get in touch today and our knowledgeable staff will be happy to assess your situation. When we can help, we will.